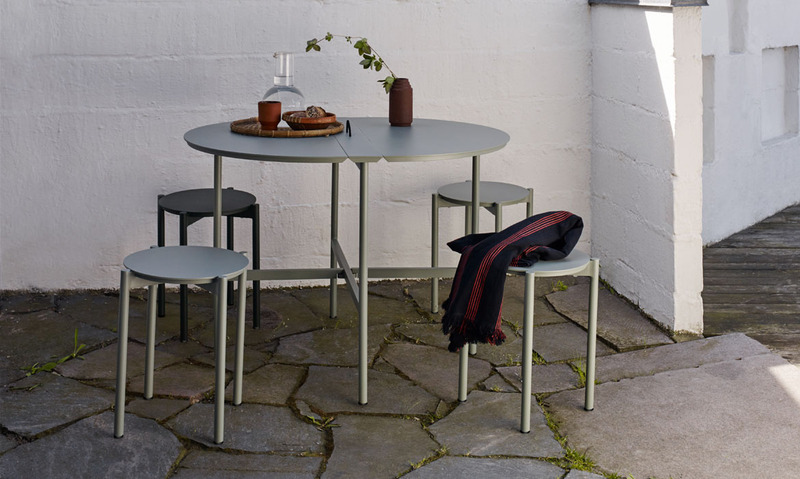 Picnic table and stool is designed for Skagerak. 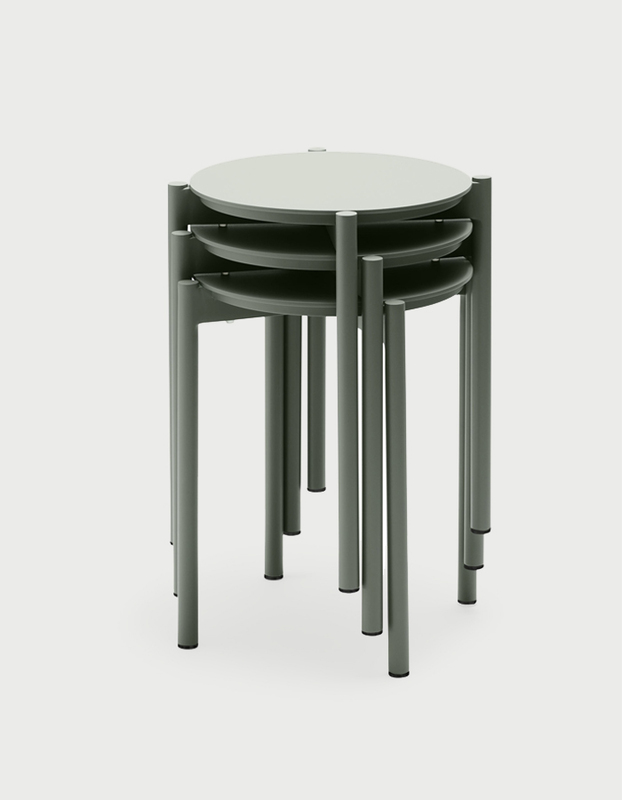 The stool is stackable and light due to the material of alumium. 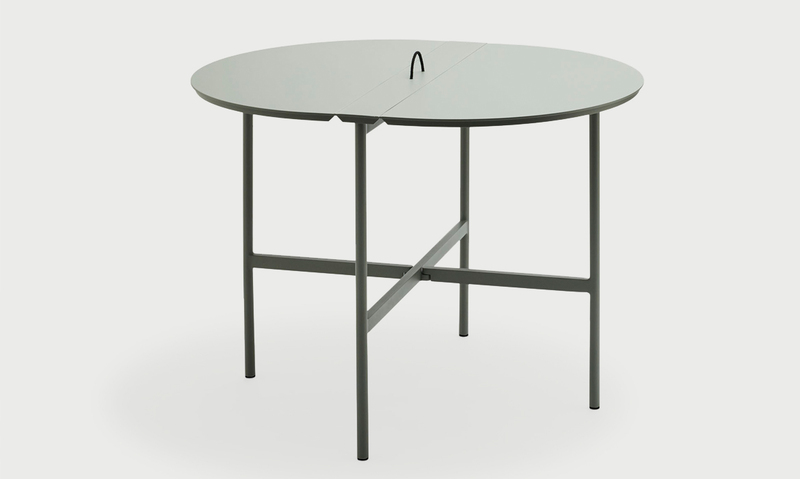 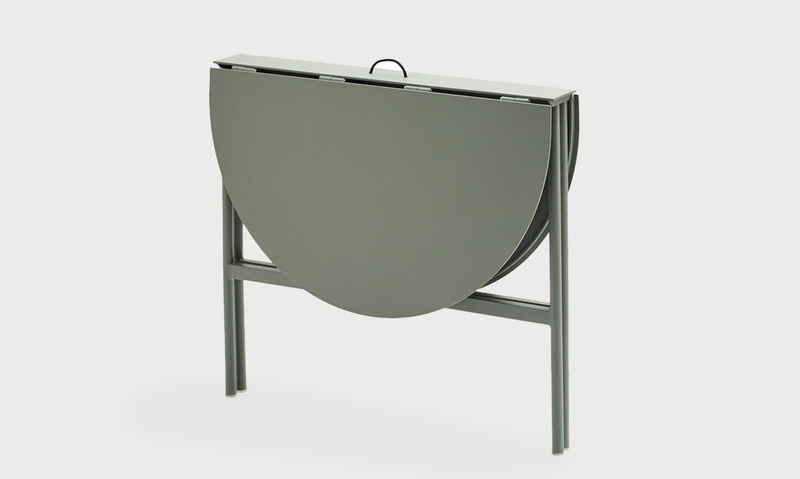 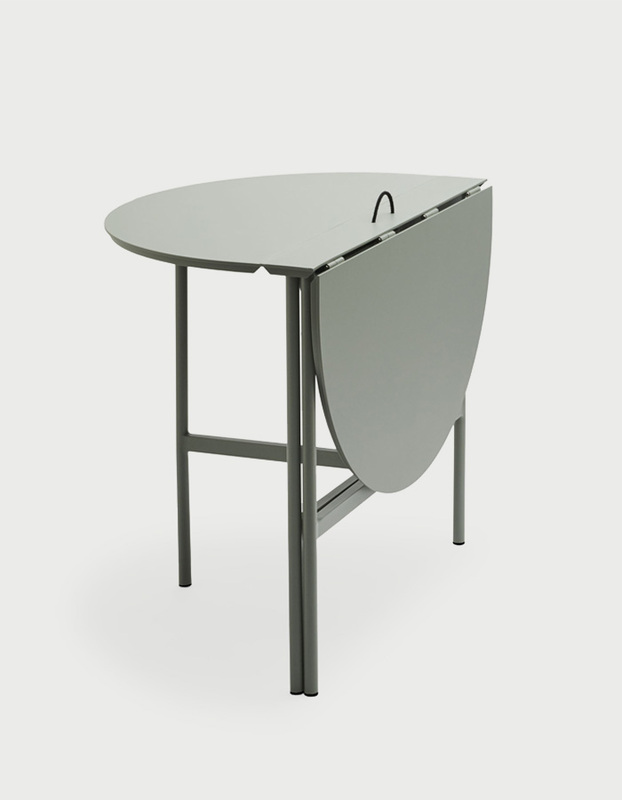 The table can be fold down both halves, by bending the legs towards the middle.